* Currently in development with Voltage Pictures (The Hurt Locker, Dallas Buyers Club) to become a feature film. The year is 2578 and immortals control the world. Brutal wars and endless genocide have reduced mankind to a handful of mountain tribes. In order to survive, humans infiltrate the eternal society as transient spies, hoping to uncover a means to regain control of the planet. Jonas is a young transient deep undercover in downtown Seattle. He lives underground, works at night, and drinks his daily blood rations, just like any normal eternal. He is a model spy, but also an apostate among extremists, torn between ideologies (as well as lovers) from either side. Allegiances are strained to the breaking point when Jonas bears witness to a violent death that rocks the eternal civilization to its core. Max is a teenage gamer with an exceptionally dull life. That is, until a bizarre accident leaves him with the ability to shift between parallel universes, but only when he falls asleep. Every time he wakes, he confronts a distressing new reality, be it talking cats or ’80s pop culture. But then one day he awakes to a hyper-advanced version of Earth where humans have colonized space. 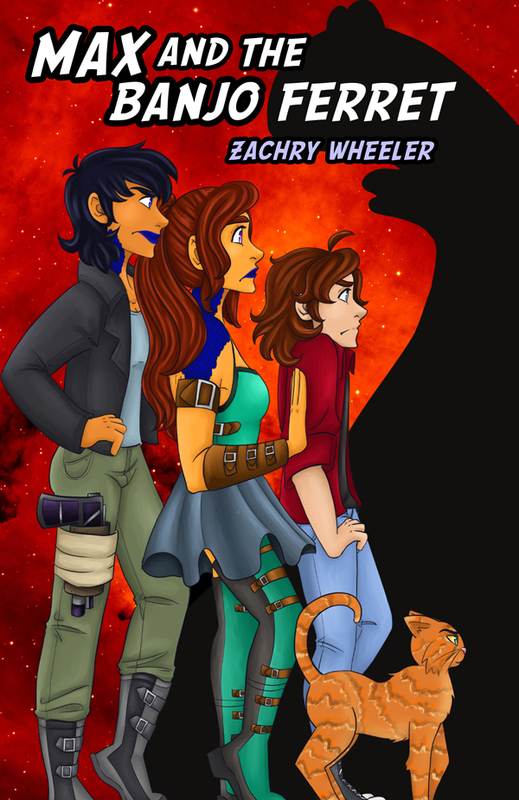 Determined to escape his mundane existence, Max and his cyborg cat venture into the black, only to entangle themselves in an intergalactic conflict. 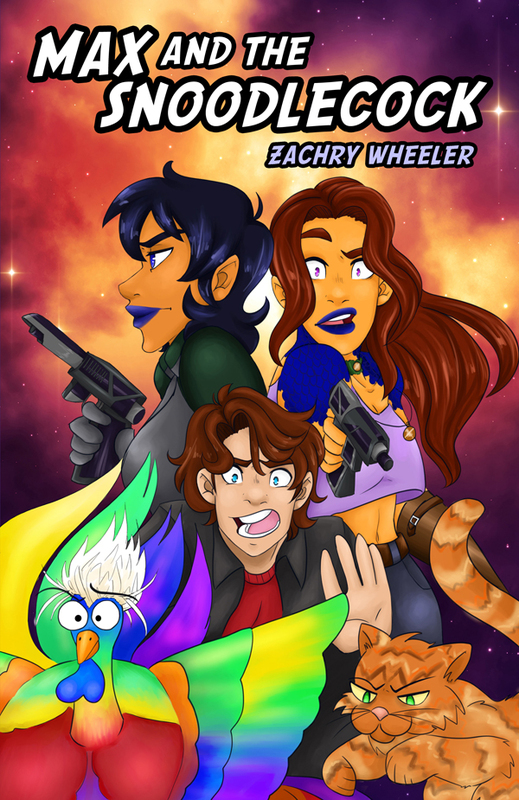 A ruthless criminal overlord, a corrupt planetary system, an ornery walrus, a secret society of super nerds, and a pair of plucky orange lesbians round out this crazy, clumsy adventure. Max’s misadventures through the multiverse continue, this time with more snark. Ross, Zoey, and Perra return for another wild romp, along with several new faces that only a mother could love. Having survived the perilous plunge into Hollow Hold, Max emerged as an unlikely hero and earned a coveted title as Perra’s grease monkey intern. He and the crew swing by a colossal space station for resupply, only to be targeted by unknown assailants. The resulting shenanigans take them to a roaming planet inside a creepy nebula inhabited by one of the strangest beings in the universe. All the while, Max bumbles his way through bizarre new realities, everything from transparent skin to a world without Bob Dylan. A wise tiger once said that you should never shift on a world that you don’t want to inhabit for the rest of your life. Good advice, especially when visiting a jungle planet full of lizard bears. Picking up where Snoodlecock left off, Max learns an extraordinary truth about his furry companion while stranded on Yankar. However, there is no time to dilly-dally because he and Ross need to figure out how to get back to Zoey and Perra, who have been captured by a familiar foe. The race is on to reunite the crew and unlock the mysteries of the mighty Banjo Ferret. Max shifts between parallel universes whenever he falls asleep. A curious affliction, especially for an Earth teen tasked with saving the world. Joining Max on this epic quest are Zoey, Perra, and Ross the cyborg house cat. Their mission: cleanse a fantastical realm of its dreadful depravities, callous corruption, and general assholery. *** Includes the first chapter of Max and the Snoodlecock as a continuation of the story. Call it a mission bonus. I do love a good nerd fest, so look for me at the following events. 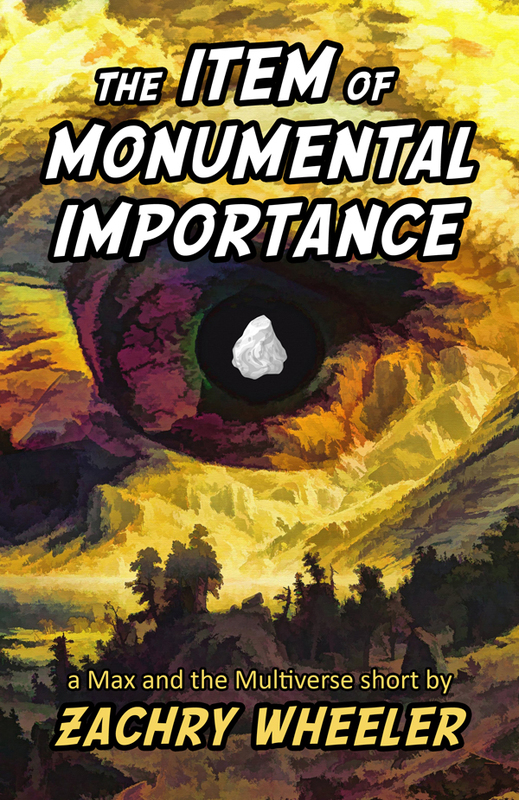 1/6/2019 : Short story The Item of Monumental Importance released. 10/24/2018 : An Author’s Guide to Comic Cons featured in SWW Sage Anthology. 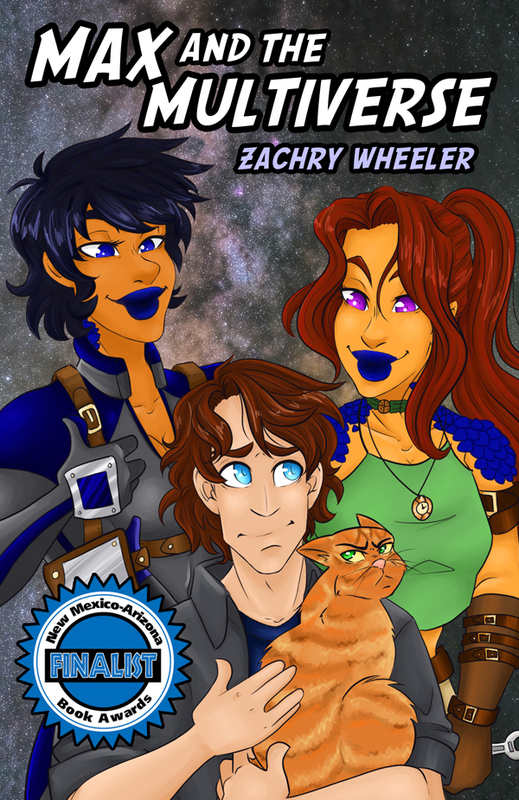 9/28/2018 : Max and the Multiverse revealed as a finalist in the NM-AZ Book Awards. 8/28/2018 : Fourth novel Max and the Banjo Ferret released. 8/6/2018 : Songwriter Leo Galvez releases theme track for Transient. 5/30/2018 : Q&A about Transient film with The Fussy Librarian. 3/11/2018 : Q&A about Transient film at Jean Cocteau (George RR Martin’s theater). 2/21/2018 : Screenplay for Transient film approved by production. 11/14/2017 : Third novel Max and the Snoodlecock released. 9/15/2017 : LookBook for Transient film released with casting and other details. 6/1/2017 : Voltage Pictures approves development of Transient film. 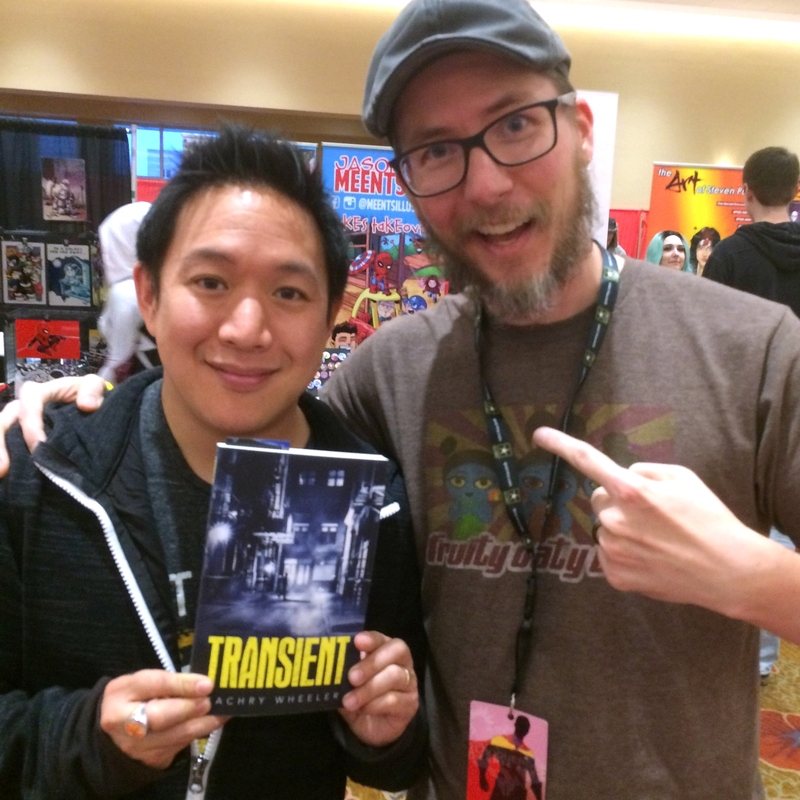 3/30/2017 : Transient optioned for a feature film. 1/27/2017 : Second novel Max and the Multiverse released. 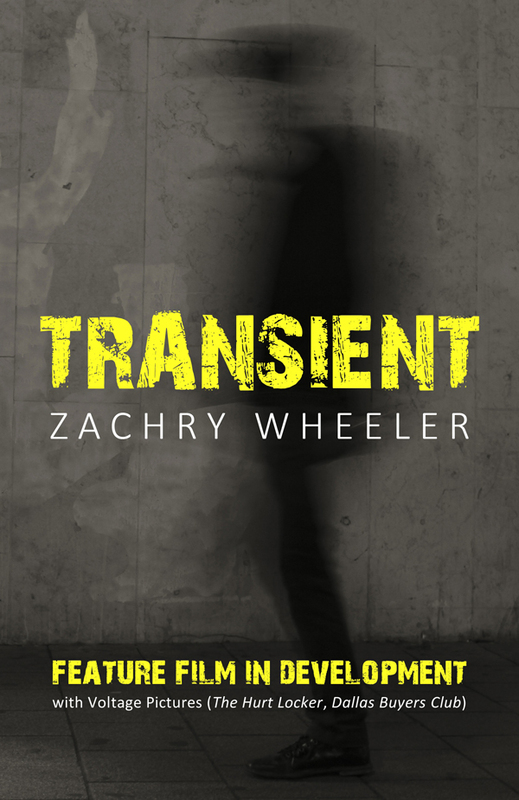 11/1/2016 : Debut novel Transient released. [Max and the Multiverse] is one of the finest pieces of SF satire I have ever read. Anywhere. Bar none. Transient is a terrific book. It’s a gem that shows how much raw talent lurks within the Indy Writing Community. Wheeler dedicates [Max and the Multiverse] to Douglas Adams, who he manages to channel with witty, snarky, and offbeat humour. Less an action-oriented book and more a philosophical and cultural foray, Transient highlights important observations and criticisms about our current society. Wheeler is the funniest living author I’ve read. 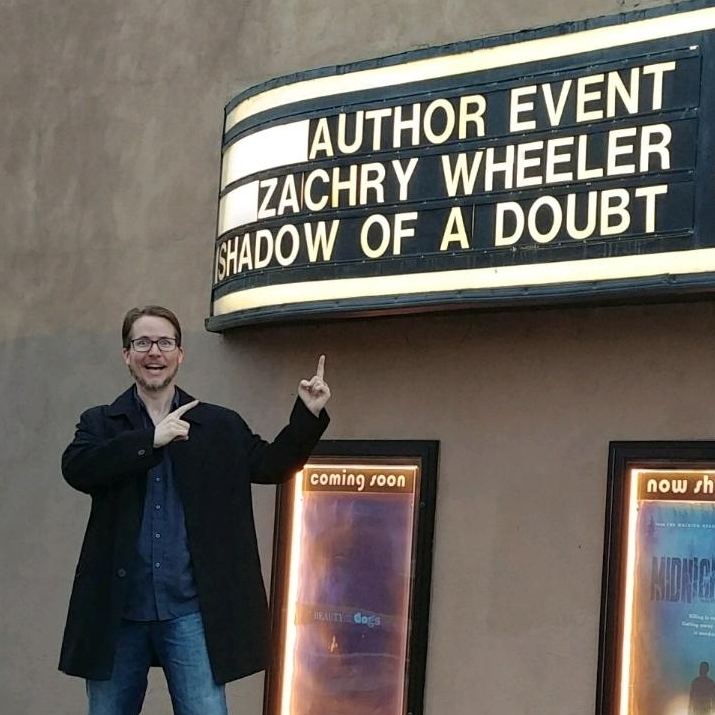 Zachry Wheeler is a science fiction novelist, coffee slayer, and swaggering nerd. He is based in Toronto, Ontario where he is known to lurk around museums and brewpubs. He has a BSBA in CIS and works as a Web Apps Developer. 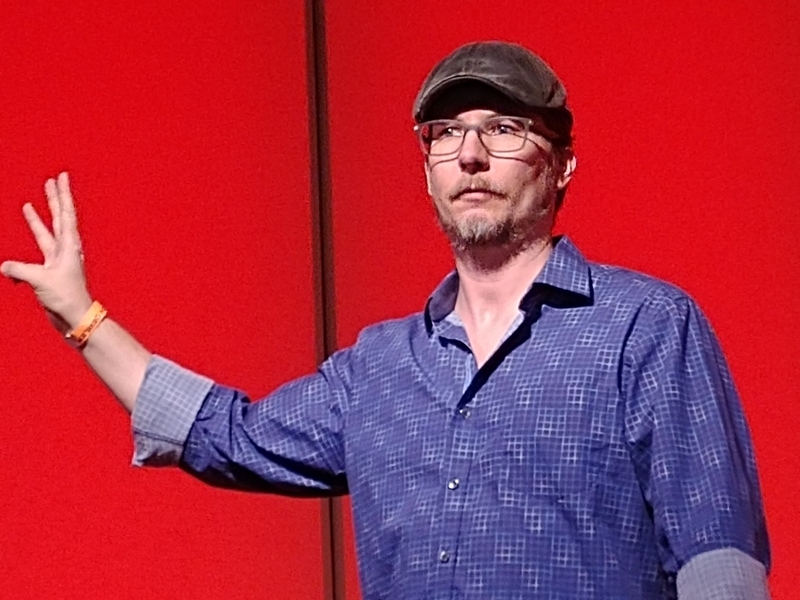 He owns and operates several online ventures, including BrewChief and The Herrington Post. He dabbles as an extra and has played minor roles on Better Call Saul and Preacher (find him on IMDb). He fronted rock bands as a youngster and released four albums as The Mayhematic and Sydewynder. Want to know more? Read an extended backstory. Feel free to send me questions, comments, and booking inquiries using the form below. My presentations include Writing From Book To Film, An Author’s Guide to Branding, and The Power of Indie Publishing. Inquire for details.